From the author of the highly addictive and bestselling Blue Bloods series, with almost three million copies sold, comes a new novel, Melissa de la Cruz’s first for adults, featuring a family of formidable and beguiling witches. The three Beauchamp women—Joanna and her daughters Freya and Ingrid—live in North Hampton, out on the tip of Long Island. Their beautiful, mist-shrouded town seems almost stuck in time, and all three women lead seemingly quiet, uneventful existences. But they are harboring a mighty secret—they are powerful witches banned from using their magic. Joanna can resurrect people from the dead and heal the most serious of injuries. Ingrid, her bookish daughter, has the ability to predict the future and weave knots that can solve anything from infertility to infidelity. And finally, there’s Freya, the wild child, who has a charm or a potion that can cure most any heartache. For centuries, all three women have been forced to suppress their abilities. But then Freya, who is about to get married to the wealthy and mysterious Bran Gardiner, finds that her increasingly complicated romantic life makes it more difficult than ever to hide her secret. Soon Ingrid and Joanna confront similar dilemmas, and the Beauchamp women realize they can no longer conceal their true selves. They unearth their wands from the attic, dust off their broomsticks, and begin casting spells on the townspeople. It all seems like a bit of good-natured, innocent magic, but then mysterious, violent attacks begin to plague the town. When a young girl disappears over the Fourth of July weekend, they realize it’s time to uncover who and what dark forces are working against them. With a brand-new cast of characters, a fascinating and fresh world to discover, and a few surprise appearances from some of the Blue Blood fan favorites, this is a page-turning, deliciously fun, magical summer read fraught with love affairs, witchcraft, and an unforgettable battle between good and evil. 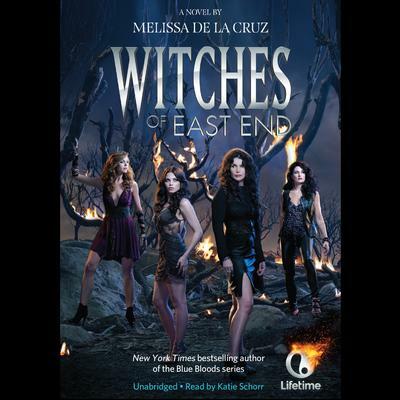 From the author of the highly addictive and bestselling Blue Bloods series, with almost three million copies sold, comes a new novel, Melissa de la Cruz’s first for adults, featuring a family of formidable and beguiling witches. The three Beauchamp women—Joanna and her daughters Freya and Ingrid—live in North Hampton, out on the tip of Long Island. Their beautiful, mist-shrouded town seems almost stuck in time, and all three women lead seemingly quiet, uneventful existences. But they are harboring a mighty secret—they are powerful witches banned from using their magic. Joanna can resurrect people from the dead and heal the most serious of injuries. Ingrid, her bookish daughter, has the ability to predict the future and weave knots that can solve anything from infertility to infidelity. And finally, there’s Freya, the wild child, who has a charm or a potion that can cure most any heartache. With a brand-new cast of characters, a fascinating and fresh world to discover, and a few surprise appearances from some of the Blue Blood fan favorites, this is a page-turning, deliciously fun, magical summer read fraught with love affairs, witchcraft, and an unforgettable battle between good and evil.